So maybe you actually want to become supremely fit? The best bloke to help you get there is Gold Coast local and six-time Australian Ironman champ Trevor Hendy (he was, after all, considered the fittest athlete on Earth in the 1990s). He’s in the The Surf Life Saving Australia Hall of Fame, so there’s no one better for aquatic and ocean training (which includes swimming, stand-up paddle boarding, breath training and so on). Or if that sounds too tough for you, he offers life coaching too: he’ll coach you through issues holding you back, even non-physical ones. More chat, less catching big dumping waves onto the shore in the Queensland dawn… that suits us! It’s the most important meal of the day, so this is very important in your faux fitness schedule. The Gold Coast is the home of the acai bowl – acai berries were introduced to Australia from the Amazon by local Dwayne Martens in 2009, who started the health company, Amazonia. Now you won’t find a single Gold Coast cafe which doesn’t sell one (particularly on the southern Gold Coast). They’re a Gold Coast institution – seriously, they’re like a mini-religion around here. The acai is your deity. Sit down in your training gear to a bowl of acai with banana, coconut and strawberry, and everyone will know you’re an athlete. 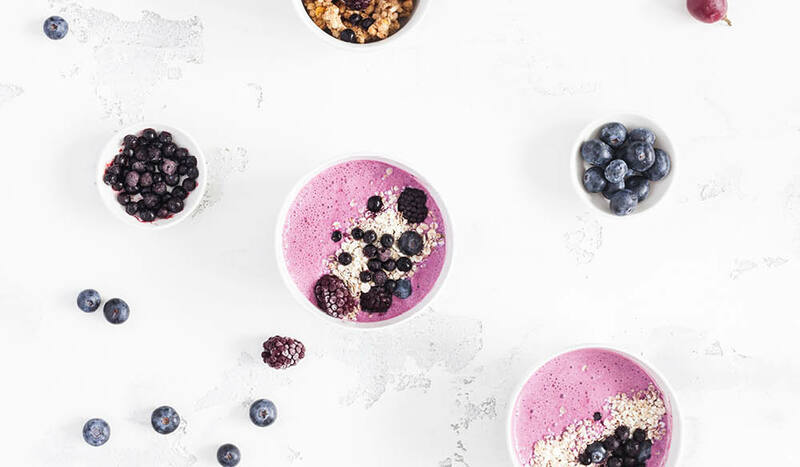 The best acai bowls on the Gold Coast can be found at Niche & Co, which has relocated to Tugun on the southern Gold Coast near Coolangatta airport. Don’t get out of your gear, take a 15-minute drive from Tugun to the new spiritual home of organic and biodynamic fruit and vegetables – Currumbin Valley. Your insides will be functioning just like a supreme athlete’s, even if your outsides don’t. Take the turn-off to Tomewin Mountain Road (on Currumbin Creek Road) for the best view on the Coast of the Hinterland at Freeman’s Organic Farm. David Freeman’s family has owned this farm for over 100 years; he’s so proud of the soil he actually eats it. Ask him for a taste. Or if you’d prefer a coffee, there’s that too (and even musicians playing on Sundays). At the very end of Currumbin Valley, pick your own biodynamic fruit and vegetables at Currumbin Valley Harvest. Usain Bolt, eat your heart out. And if you don’t mind driving further, there’s organic fruit and vegetable markets 45 minutes north in Mt Tamborine. Exercise can be so boring, right? Painful too, and lonely, and sweaty, and smelly, and… need I go on? So if you want to go beyond simply eating like an athlete, try something revolutionary, and interesting. How about pretending you’re an animal with Iron ZUU at The Zuu in Burleigh Heads where you’ll mimic animal movements, such as gorilla walking, frog squatting or bear crawling to tone your flabby parts? There’s no fancy gym equipment, but this is super high intensity, fat-burning exercise. Watch out for frogs, it’s a squat where you’ll push your knees out wide with your elbows while you push your bottom to the sky. Repeat times 20. And bears might make crawling look easy, but you try putting your hands and knees to the floor with your head down and bottom up as you walk around the room. This is Gold Coast exercise at its nuttiest, but most effective. Finish your day as a vegan and you’ll be in the company of some of the world’s best athletes, including Carl Lewis and even Mike Tyson. The Gold Coast is opening the very first vegan (they prefer to call it ‘plant-based’) marketplace in Australia – and it’s set to become one of the best in the world. Located on the highway at Miami, Lovechild Market Place, LCMP, is 1000 square metres of exclusively trendy vegan businesses, with everything from fashion boutiques to award-winning pizzerias. This is a two-storey food and retail precinct that’s devoted entirely to vegans, and will include Sydney’s hugely popular Italian eatery, Gigi Pizzeria. The perfect way to end a hell of a hard day showing off your new muscles on the Gold Coast.